Most of you have seen the news about Evana—the new “non-denomination.” And depending on how strong your stomach is, you may have even looked through the entire web site and noticed the way that the “Confession of Faith in a Mennonite Perspective” is being used as code for that one line in Article 19: “We believe that God intends marriage to be a covenant between one man and one woman for life.” I see Evana co-opting the CoF the same way conservative/fundamentalist/evangelicals have been trying to co-opt the Bible for decades now–as if there is only one faithful way to understand and interact with the document. As if those of us who disagree with the “official” position on marriage are not entitled to also claim the Confession of Faith as our own. I, personally, care a lot more about the Bible than the CoF–(One person’s “foundational document” is another person’s “outdated descriptive statement.”)–but still I do not want the conservatives to get to claim it as “their” document. I do not want progressive/liberal/ Mennonites to throw out the baby with the bathwater—so to speak. The truth is, there is a lot of really good, Jesusy, Anabaptist theology in the Confession. So, rather than spend hours and hours and pages and pages lamenting how Evana gets it wrong, I decided to focus on how those of us not participating in Evana might be able to get it right. How can we read and challenge and be challenged by the Confession of Faith in a Mennonite Perspective? To help us think about this, I’ve asked some LGBTQ Mennonites I know to write about one or more of the articles in the CoF. If you would like to participate, you can sign up here. Our first installment comes from my friend, colleague, and all-around amazing person, Sarah Klaassen. When I was in high school I fell in love with another girl. Being in love and adolescent at the same time can be torment anyway, but maybe a little more when you’re gay, Christian, from a rural area, and the internet hasn’t really taken off yet. One day I found myself laying on the auditorium floor before basketball practice flipping through my Bible. Leviticus: a man who lies with another man should be put to death. First John: love comes from God. Yes or no: not so simple any more. As a queer kid feeling mostly alone in the world, it was necessary to learn quickly what we all learn eventually: truth is not a matter of absolutes. It is messy, relative, contingent. Yes and no: they seems so binary, so rigid, so concrete. They try to snap us into place, pin us down, label us in ways we may or may not accept, fit us into someone else’s Truth. Tension, dissonance, paradox: aren’t these, rather, the heart of our faith? Sarah, I commend you for your stand, however in comparing an O.T scripture and a N.T verse you are comparing apples with oranges. I would rather you stay with Leviticus, which by the way is all about rules, and share the context of that rule. On the other hand the N.T is all about grace and the context of that is that it is Amazing! Sorry about the name mix up Joanna, not Sarah. Alex, it is my (Joanna’s) blog and I wrote the intro. 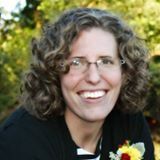 The commentary on Article 20 is a guest post by Sarah Klaassen. Have the people of God, Old and New Covenants, understood God to have prohibited same gender sexual relations for about 3000 years? Yes, or no. Wow, I guess I don’t know the meaning of “no,” or history has been so revised as to be unrecognizable perhaps? rwwilson147, you indicated you wanted a “yes” or “no” answer–which is actually fairly ironic considering Sarah’s commentary above. Your question is a loaded one that is not specifically pertinent to the post. If you would like to discuss the history of faithful understandings of sexuality, please use the “contact” button above and I will be happy to engage at a deeper level in a private conversation. My response to the charge of impertinence regarding my question was deleted. Yes or no? The comment was “loaded” toward asking a simple question about history. The deepest levels of truth regarding history need to be vetted publicly. Is it possible that your version of history rwwilson 147, imagining 3000 years of unequivocal clarity that all same gender sexual relations are prohibited by God is the revisionist one?